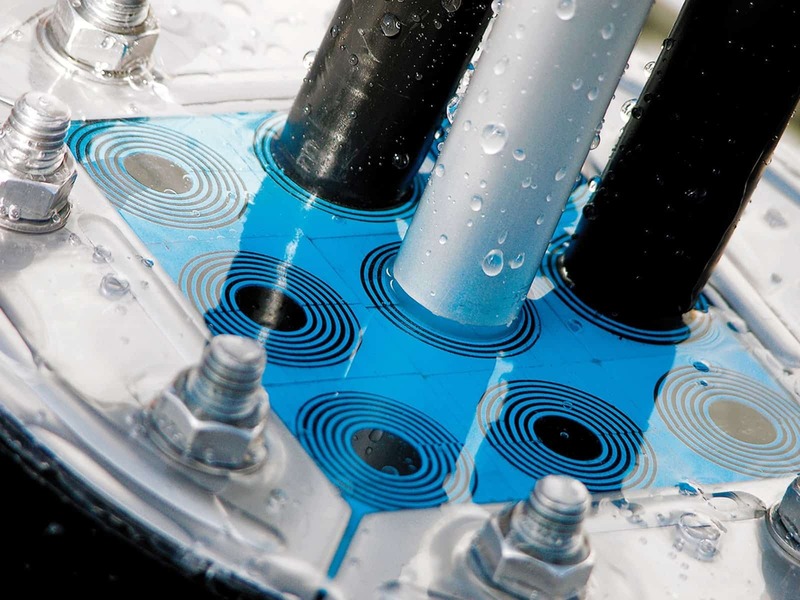 ➡ View the complete range of Cable Transits manufactured by Roxtec to provide effective sealing of single and multiple low and high voltage cables against constant water pressure, fire spread and gas migration. 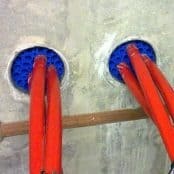 Extensively specified in the Utility Power, Transmission & Distribution sectors for sealing cable ducts and protecting 11kV/33kV medium/high voltage substations against flood risk. Roxtec cable transits seal cable ducts and entry points in MV-HV substations – controlling the impact of water ingress and continuous water pressure on substation cable ducts and infrastructure. Working with Roxtec we can ensure that the design and installation of cable transits to provide effective substation cable sealing are correctly designed, specified and supplied – this includes sealing earth tapes and trefoil single core cables at 11kV/33kV/66kV. Cable sealing and transit systems can be project customised for offshore substation applications to industry recognised standards, including the main risks relating to fire (A and H Fire Class). Sealing LV & HV electrical power, control and instrumentation cables passing through decks and bulkheads – also sealing transformers, GIS (Gas Insulated Switchgear) and busduct cables. Utilising offshore substations enables wind farms to operate more efficiently by transforming the 33kV power supply up to 150kV before it is exported to the shore reducing transmission losses – adequate 33kV cable seals must be specified and installed to prevent potential catastrophic risk of water, gas or fire spread. 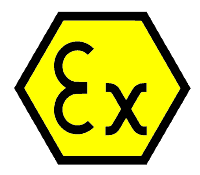 Cable transit seals for potentially explosive atmospheres and hazardous area locations with ATEX and IECEx certification are available. Roxtec Ex cable seals are tested and approved to prevent ignition of flammable gas and vapours to hazardous area classification Ex e (Increased Safety) and Ex tb (Enclosure Protection For Explosive Dust Atmospheres) – cable seals for electrical enclosures, transformers, motors, generators and junction boxes in the marine, offshore oil, gas and petrochem industries. 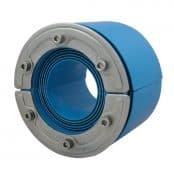 A complete range of round and rectangular cable transit seals for industrial, hazardous area and high voltage duct seals. 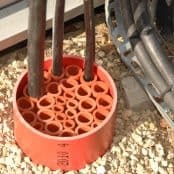 Cable Transits – Sealing single, multiple and trefoil cable formations, including Triplex, and 11kV/33kV medium/high voltage power cables.